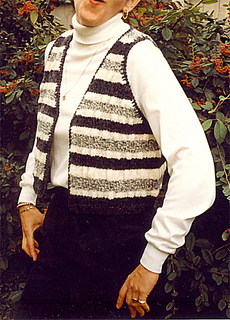 Three-colour striped v-neck Vest with Ruching. Knit in one piece to underarms. Versatile vest that can be worn to the office or with jeans.